Video head impulse test (vHIT) aids to assess all three pairs of semi-circular canals (SCCs) separately and can be utilized to find out the exact site of lesion in any three SCCs by measuring vestibulo ocular reflex (VOR) gain. VOR gain value of vHIT has been used to diagnose different vestibular pathologies. Hence, it is important to establish the test–retest reliability of the VOR gain parameters before it could be administered to the patients. Therefore, the aim of the present study was to obtain VOR gain data, correlate all planes in both sides of head (right and left) and assess the test–retest reliability of VOR gain measure using vHIT in 25 normal young adult participants. Video head impulse test tests were carried out with prototype ICS impulse video goggles with a camera speed of 250 frames/s, recording motion of the right eye in all three planes (lateral, right anterior left posterior, left anterior right posterior) for all the participants. vHIT testing was repeated for all the participants after 15 days. Statistical analysis revealed that mean VOR gain for right horizontal canal was higher than the left horizontal canal; right anterior canal was higher than left anterior canal and left anterior was higher than right posterior canal. Horizontal canals have more gain compared to anterior and posterior canals. There was no significant difference between the VOR gain of session 1 and session 2 for each SCC. 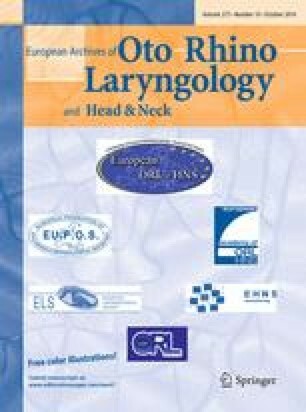 The authors wish to thank the Director, AIISH for permitting us to carry out the study, the HOD-Audiology for permitting us to use the equipment in the Department. The authors also thank all the participants of this study. All the participants were informed initially about the study in detail and a written consent form was obtained from all the participants.